An authentic Surf/ Skate shirt featuring a vintage iron-on heat transfer print on a new and unused shirt. 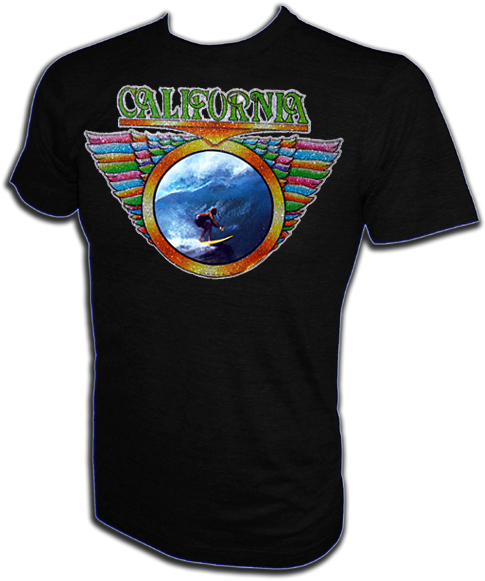 Original 70's print that screams Southern California! Extremely smooth print used to promote Cali. tourism back in the day. 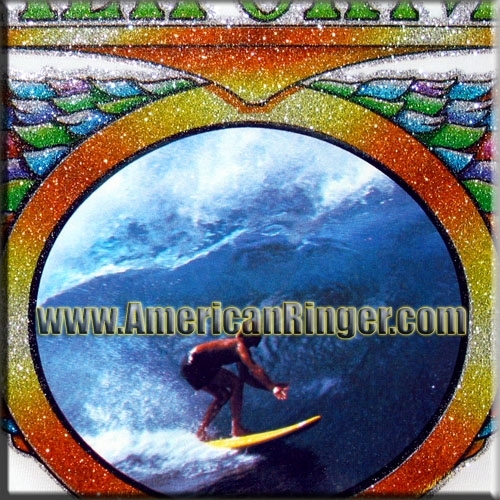 This 1974 authentic photo-print shows a surfer getting tubed... oh, and some bad*ss Aerosmith wings to boot! A vintage American Ringer EXCLUSIVE, these shirts are extremely difficult vintage items to find and will sell out very quickly so get yours today! AmericanRinger.com acquired these rare vintage shirts and NOBODY ELSE HAS THEM! This is the real deal vintage stuff and once they are gone they will be gone forever.